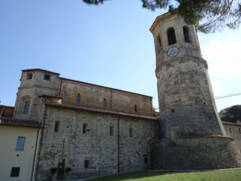 MARIDIANA is situated close to the border between Umbria and Tuscany, 30 Km north from Perugia in the Upper Tiber Valley. Maridiana is almost at the same distance from Florence (150 km) and Rome (200 km). Take the Highway A1 (Florence-Rome) direction Rome, and exit at Arezzo and follow the directions Citta` di Castello/Sansepolcro. Before entering in Citta di Castello, take the Highway E 45 (SGC E45 Orte-Ravenna) direction Roma and after 15 km take the exit Promano, following the direction Umbertide. 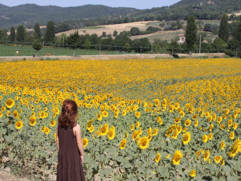 When you arrive in Niccone, turn right and take the road s.s.416 del Niccone direction Mercatale, Cortona, Lisciano Niccone. After 3 km you will find on your right the indication of MARIDIANA ALPACA; turn right on the small tarmac road, heading up on the hill. After 1 km you will find on your right an iron dark-green gate with small stonewalls and a large wooden frame, indicating the farm. Enter the gate and proceed until you will reach the farmhouses. take the Highway A1 (Rome/Florence), exit at Orte and follow the Highway E45 (SGC E45 Orte-Ravenna) direction Perugia/Cesena. 30 km after Perugia take the exit Umbertide, pass through the centre of the town and follow the s.s 3 bis towards Citta di Castello, after 3 km at Niccone, turn left and take the road s.s.416 del Niccone direction Mercatale, Cortona, Lisciano Niccone. After 3 km you will find on your right the indication of MARIDIANA ALPACA; turn right on the small tarmac road, heading up on the hill. After 1 km you will find on your right an iron dark green gate with small stonewalls and a large wooden frame, indicating the farm. Enter the gate and proceed until you reach the farmhouses. from the Perugia-Bettolle Highway, exit at Tuoro, and take direction Mercatale/Umbertide. After Mercatale you will meet Spedalicchio; after 2 km from Spedalicchio, you will find on your left the indication MARIDIANA ALPACA. Turn left and take the small tarmac road, heading up on the hill. After 1 km. you will find on your right a dark green iron gate, with small stonewalls and a large wooden frame, indicating the farm. Enter the gate and proceed until you will reach the farmhouses.